Apple and Steve Jobs unveiled the first iPhone with third-party apps ten years ago on June 8, 2008 setting the table for the explosive growth of Apple in the following decade. The iPhone, all observers agree, changed the world of phones and consumer electronics altogether, when it arrived in June of 2007. But some forget that the original iPhone was extremely expensive, didn't offer third-party apps and was exclusive to AT&T and its substandard EDGE wireless network. That changed a year later with the iPhone 3G, which was unveiled by Apple on June 8, 2008, ten years ago Saturday. The 3G may look very different from the iPhones of today, but it put Apple on the path towards the iPhone that we all know. 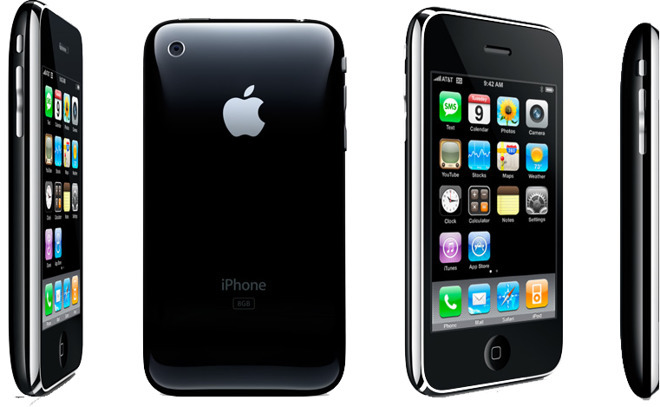 The iPhone 3G was unveiled at that year's World Wide Developer's Conference in San Francisco. Steve Jobs began the keynote by pointing out that Apple, at the time, had "three parts" —the Mac, the music business, and the iPhone. The iPhone 3G itself was one of Jobs' famous "one last thing" reveals, as he didn't get to the new product until more than an hour and twenty minutes into the keynote. After announcing that Apple hold sold 6 million of the original iPhone in just shy of a year, Jobs listed the "new challenges" for the iPhone going forward: 3G networking, enterprise support, third-party application support, the ability to sell the product in more countries, and affordability. "As we arrive at iPhone's first birthday, we're gonna take it to the next level, and today we're introducing the iPhone 3G," Jobs said. "We've learned so much with the first iPhone. We've taken everything we've learned and more, and we've created the iPhone 3G." Plastic on the back, and with solid metal buttons, the iPhone 3G had a 3.5-inch display, and a "flush headphone jack," which drew applause. Speed was emphasized- with 3G speeds that "approach Wi-Fi," Jobs said. There was even a side-by-side slide comparing the 3G to long-forgotten rivals like the Nokia N95 and Palm Treo 750. The other big selling point was affordability. The iPhone 3G started at $199 under subsidized contract for the 8GB model, with immediate availability in 22 countries, and more than 50 more later that year. The keynote itself had begun with the second version of the iPhone software, then called simply "iPhone OS 2.0" (the iOS naming convention wouldn't debut until until 2010). 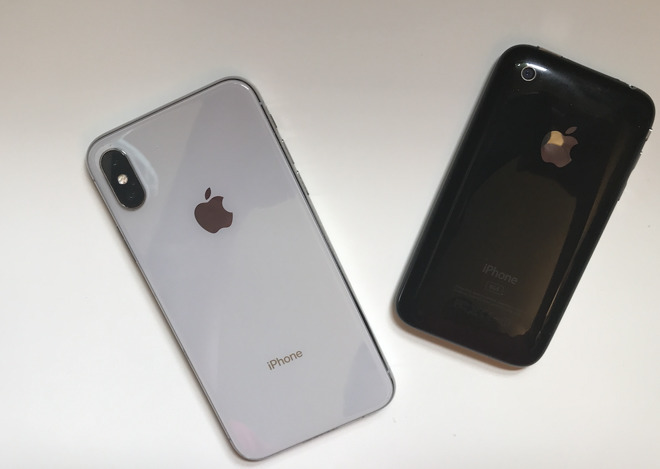 A software development kit (SDK) had announced the previous October and released in March, giving third-party developers access to the iPhone for the first time. Apple had also aggressively marketed the SDK to the enterprise market. New features for the new software included contact search — which, no, had not been available in the first iPhone — and and full iWork and Microsoft Office support. Also new was the ability to save images, support for several foreign languages and parental controls. Also introduced at that keynote was MobileMe, Apple's ill-fated mobile services suite, which famously caused one of Jobs' most-famous meltdowns. 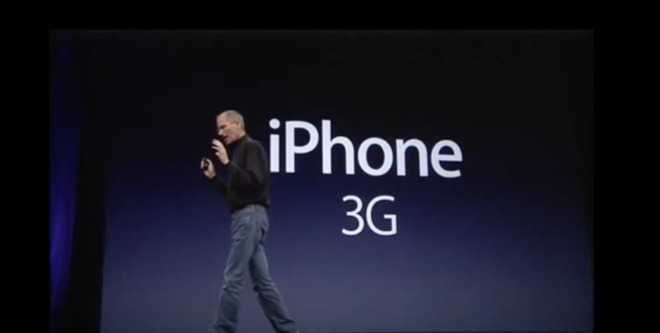 The 3G keynote is memorable for another, not-so-happy reason. It was one of the events in which Jobs' appearance, in which he appeared thin and gaunt, was a major topic of conversation and concern about the CEO's health. Jobs was indeed facing a health crisis for which he would undergo surgery the following month. Jobs would step down from Apple three years later, passing away in October of 2011. The iPhone 3G arrived a little over a month after the keynote, on July 11, 2008. Reviews were positive; Walt Mossberg, in the Wall Street Journal, called it "newer, faster, cheaper" while citing "hidden costs" tied to the subsidies and data plans. The device was a big hit. By that December, it already had 30 percent of the smartphone market share in the U.S., taking share away from Nokia, Research in Motion (BlackBerry) and Microsoft. 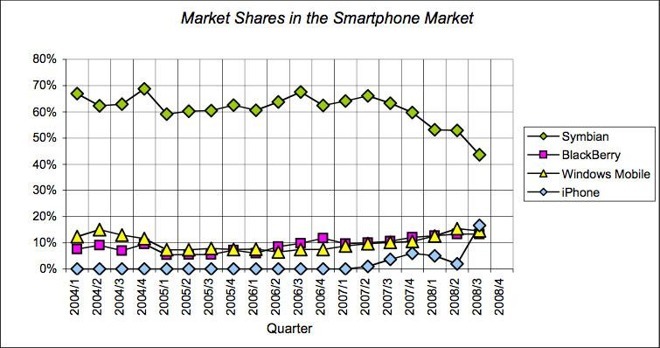 In fact, the iPhone was almost solely responsible for smartphone growth itself. Apple revealed in earnings the following year that it had sold 6.9 million units of the 3G in its first quarter available, besting the 6.1 million of the original iPhone sold in its first five quarters. The 3G was succeeded by the 3GS in 2009, although as of early 2017, it remained in active use in some countries. The AT&T iPhone exclusivity would end when the iPhone 4 became available on Verizon Wireless in 2011. The top iPhone standard would remain 3G, until the arrival of the LTE-supported iPhone 5 in 2012. The primary legacies of the iPhone 3G are that it was the first iPhone with access to a faster network, to the App Store, and perhaps most importantly, with widespread affordability. 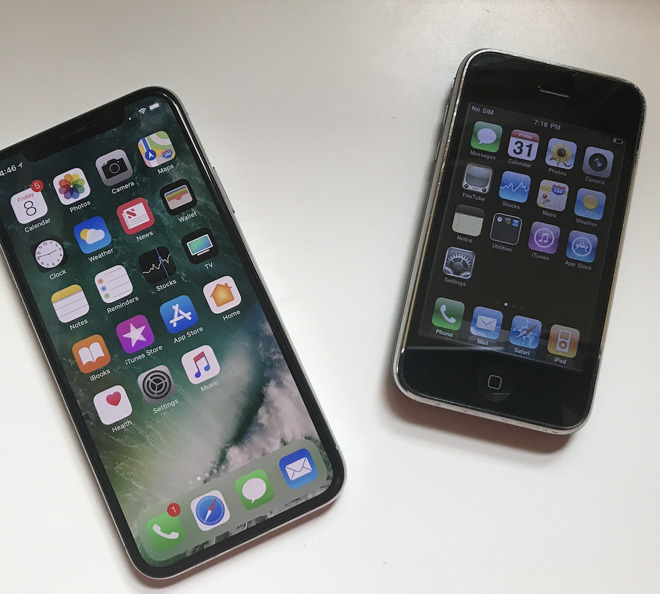 It may look small, slow, and nearly non-functional compared to the devices of today, but the iPhone 3G certainly represented a huge leap for Apple, and its product category, ten years ago.